Should I Use Webs for an eCommerce Website? Taking your small business online is a big step in growing your company. Once you’re ready to turn your website into an e-commerce operation, you can increase your revenue and customer base even further. But how do you know if your e-commerce site is up to par? The moment purchasing products on your site becomes a headache, your visitors will click away and may never be heard from again—so you need to create a user-friendly experience to keep their loyalty. Customers want to see what they’re buying before they hit “purchase,” so you should always post clear, high-resolution photos of your merchandise on an e-commerce site. Webs.com lets you display products on a storefront page. With the Enhanced Webs e-commerce plan, you are able to display three images of each product. Sign up for the Pro Webs online store plan and you can display up to five images of each product, giving customers a comprehensive look at each item in your store. Customers can’t buy an item if they aren’t able to find it on your site. Sounds simple enough, but not all e-commerce sites take the necessary measures to ensure easy searching and sorting. A Webs store lets your customers sort products by categories you choose as the store owner. Your visitors can also search for something by name or product keywords. These simple additions to an e-commerce site mean a much better experience for your shoppers and will lead to more sales. Customers from around the world can purchase items in your Webs shop, thanks to the ability to accept many global currencies. Webs.com e-commerce sites accept payments through PayPal or Stripe, both of which enable secure transactions. It is worth noting that your customers must have an account with PayPal or Stripe to buy from you, since Webs stores are not equipped to take debit or credit cards directly. However, signing up for a site like PayPal is free and takes just a few minutes. Once your e-commerce site takes off and your sales start to pick up, inventory control will become a vital part of your operation. After all, you can’t sell what you don’t have in stock. Luckily, Webs.com makes it simple to track your inventory with controls for watching stock levels. You will know when to reorder or create new merchandise so that your store is always full. Webs.com delivers a comprehensive e-commerce site for small business owners across the globe. Whether you sell children’s clothing, jewelry, or homemade licorice, you can sell your products to a wide range of customers once your shop is up and running. With the Pro plan, you can even also set up coupon codes, sell an unlimited number of items in your store, and get an SEO booster. Take your e-commerce site to the next level with a Webs.com template design, and your online business will be booming in no time. Want to know more about setting up an online store? 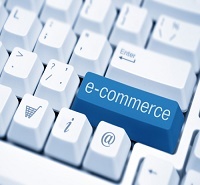 Check out these tips for finding the best e-commerce website builder.